Today’s classical kigo for summer is sweetfish (ayu). I think it’s an unusual kigo and was grateful for the explanation: the ayu, or sweetfish, is a species of fish native to East Asia, the only species in the genus Plecoglossus and family Plecoglossidae, and is related to smelts. The name ‘sweetfish’ was inspired by the sweetness of its flesh. In reference to its typical one-year lifespan, it is also written called ‘year-fish’. 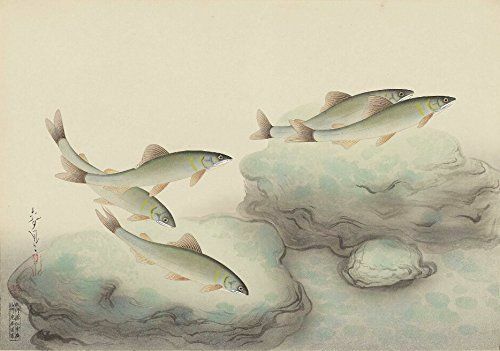 For examples, we have two haiku by Basho which include the sweetfish. Posted in Haiku. Tagged Ayu, Carpe Diem Haiku Kai, Summer kigo, Sweetfish.